From September 21th through the 27th, The Palestine Israel Ecumenical Forum (PIEF) called for a “World Week for Peace in Palestine Israel.” The PIEF was launched by the World Council of Churches in 2007 to catalyze and co-ordinate new and existing church advocacy for peace, aimed at ending the illegal occupation of Palestinian territories in accordance with UN resolutions, and demonstrate its commitment to inter-religious action for peace and to justice that serves all peoples of the region. 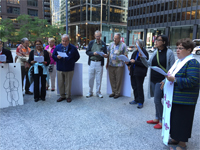 On Monday, Chicagoans from the Working Group on the Middle East – Metro Chicago Synod, Evangelical Lutheran Church of America (ELCA) and other church representatives in the area held a “Gathering for Peace in Palestine/Israel.” Monday was also the UN International Day of Peace. The event focused on the Separation Wall that divides Palestine with the PIEF providing the following background. This annual observance of a week of prayer, education, and advocacy calls participants to work for an end to the illegal occupation of Palestine, so that Palestinians and Israelis can finally live in peace. 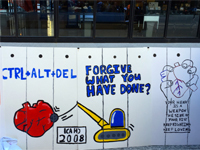 This year we focus our attention on the Separation Wall. It is now just over a decade since the International Court of Justice ruled that the construction of the wall is contrary to international law as it was constructed inside the green line/armistice line. As it is not on the Internationally agreed green line in places it separates Palestinian from Palestinian. 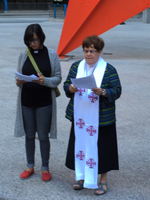 Pastor Joanne Fitzgerald provided the initial welcome to everyone assembled and set the themes for this Chicago Palestine Israel Peace vigil. We gather as people of God in this place to celebrate life, to thank God for God’s company in our daily life, and to pray for God’s people. We turn our minds and hearts to all the walls that separate people, break communion, and tear apart lives and communities. Some walls are made of stone. Some are constructed of anti-immigrant laws, prejudice, economic injustice, or fear. While we grieve today over all walls that divide and harm, including the walls being erected at the Hungarian border to keep out our Syrian brothers and sisters, and the wall that stands at our own border to keep out our South and Central American brothers and sisters, today – as we gather during World Week for Peace in Palestine/Israel, we reflect especially on the scandalous wall separating the Palestinian people from family, friends, farmland, and neighbors. Let us open our minds and hearts to hear God’s call to be peacemakers, advocates, and people of reconciliation. Let us express our hope and faith in the God of justice who promises to overcome all the iniquity and injustice. Let us express our hope and commitment to the fall of the Israeli Wall of iniquity and injustice. Each participant took turns saying a prayer; reading from the Bible or the Quran; reading testimony from a Palestinian from Bethlehem; while all sang well-known songs whose lyrics had been adapted to the Israel-Palestine conflict. 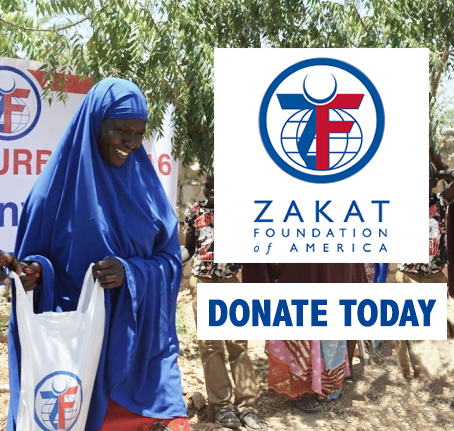 At the end of the gathering, there was time set aside to take action. The testimony of Ghada from Jerusalem spoke to the actions of resistance the Palestinians are taking to fight oppression. The Wall is like a sign to say: “Go away from here.” It is intimidating. If you go from the checkpoint toward Gilo [illegal Israeli settlement] you can see all the land that was taken for its construction, and the land what we can no longer access. Some of the land belonged to my grandparents. Despite everything, we must continue to resist. To continue with our daily life is a form of resistance.